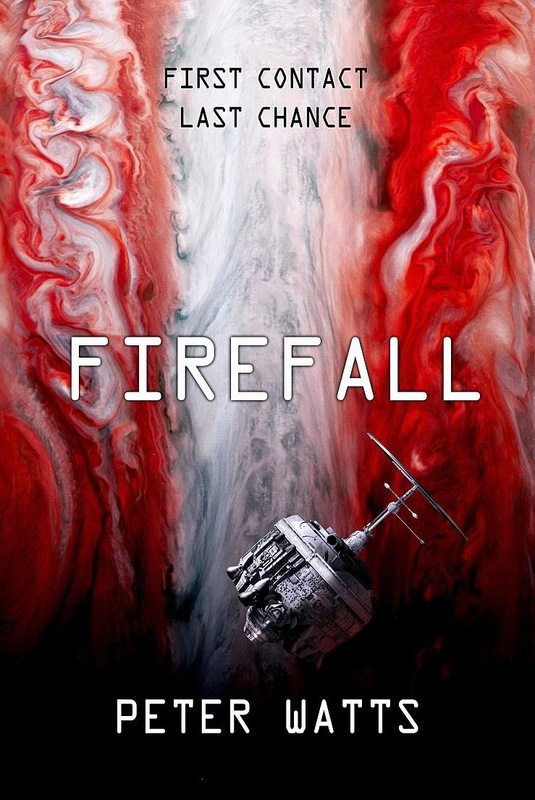 Are you in the mood for some cynical, world-weary, mind-blowing science-fiction? Of course you are! The near-simultaneous release of two books along these lines is a cause for some downbeat celebration, as long as you're in the mood to explore just how little control you have over the contents of your mind, the nature of your personality, and the probable non-existence of yourself as a continuous, discrete entity. 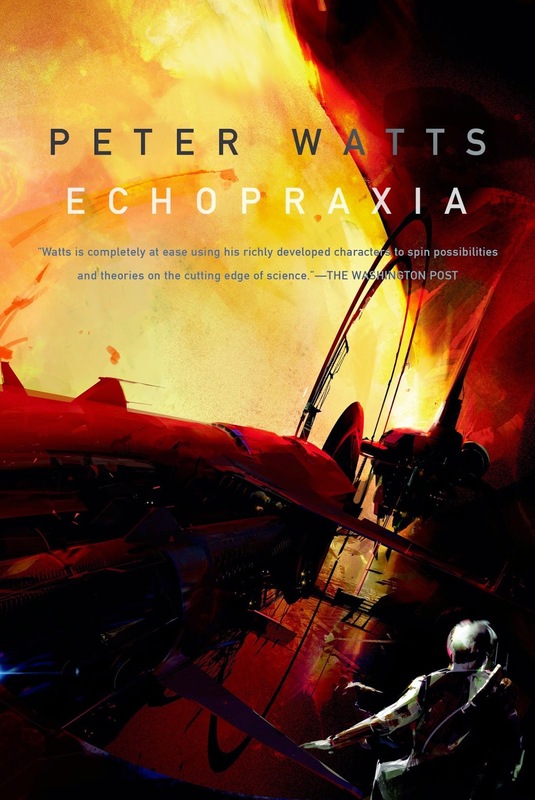 The first of these two books is Peter Watts's Echopraxia (that word being the involuntary and meaningless mimicking of someone else's movements), a semi-sequel to his astonishingly good and bleak Blindsight, which is easily one of the best SF novels of the century so far. Sporting cover art by Richard Anderson (who manages to combine the unlikely but convincing mass effects of John Harris with the dynamic figure work of Phil Hale), Echopraxia is not quite the equal of the previous book, but it comes close. This is not due to any lack in the prose, but more because it tends to explore Blindsight's concerns in more depth--the earlier book had the shock of the new to add to its brain-boggling effect. Echopraxia's many threads explore the difficulties of communicating with alien intelligences, the possibilities of intelligence without sentience, the probably non-existence of free will, how the brain works when high on religion, networking human minds, disturbingly convincing evolutionary-throwback neanderthal vampires, and brain-rigged zombie soldiers. Somewhat confusingly, in the UK Echopraxia and Blindsight have been bundled togetehr as one volume, Firefall, which uses a spaceship designed and "built" by Watts himsellf for the cover. 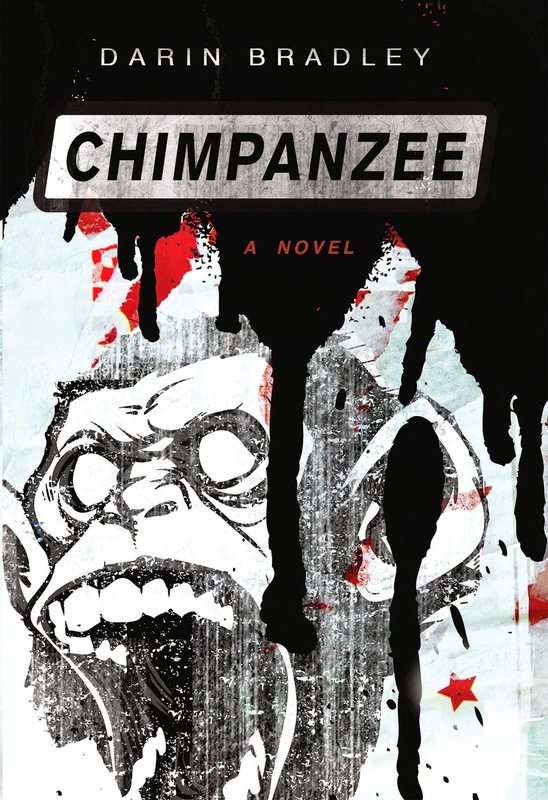 If genre prejudices make you shy away from books which feature hair-raising jaunts around the solar system, Darin Bradley's Chimpanzee might be more your sort of thing. Published by one of the small presses that are increasingly the heart of interesting SF (Underland Press in this case), it takes a satirical idea--that in a near-future USA suffering another Great Depression, those who can't afford to pay off their student loans will have their educations repossessed--and develops it with bleak, serious sincerity. The unemployed narrator's Ph.D. is being taken away from him through a cocktail of cognitive therapy and drugs, with the rest of his higher education to follow. But his memories of his life with his wife, who he met at graduate school, are inextricably bound up with his learning. Add to this a developing anarchist movement which makes use of the image of a chimpanzee, and Bradley's book is a fascinating and depressing novel of great originality. 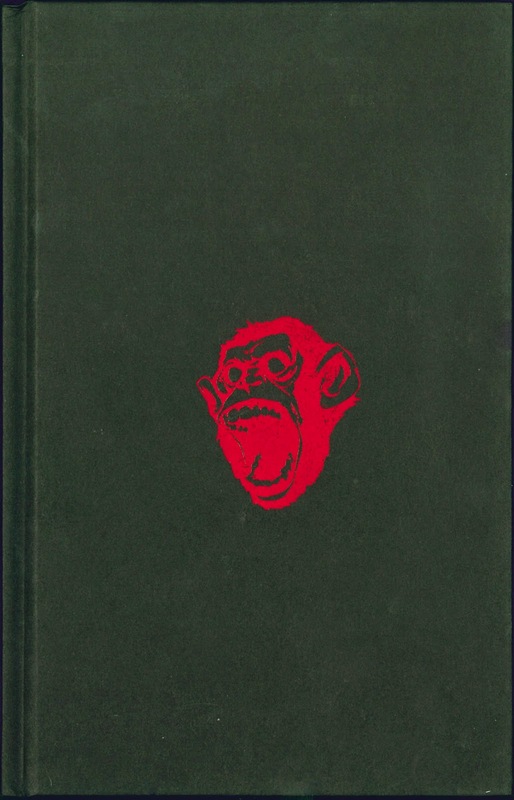 The cover, designed by Jennifer Tough, makes use of the chimpanzee glyph, which she created to be used for both the book design and promotional images. It has also been stamped in blood red onto the book's boards, making a part of the book which is normally staid and boring a dramatic treat for the eye. I suspect that simple, bold design would have been effective as a cover by itself, especially if you disregard the fingerprint smears that have made their way onto my scan.